Troy Industries is famous for manufacturing advanced small arms components and accessories for the US Government. Their products are widely used by military, law enforcement, special forces, and civilian hobbyists. 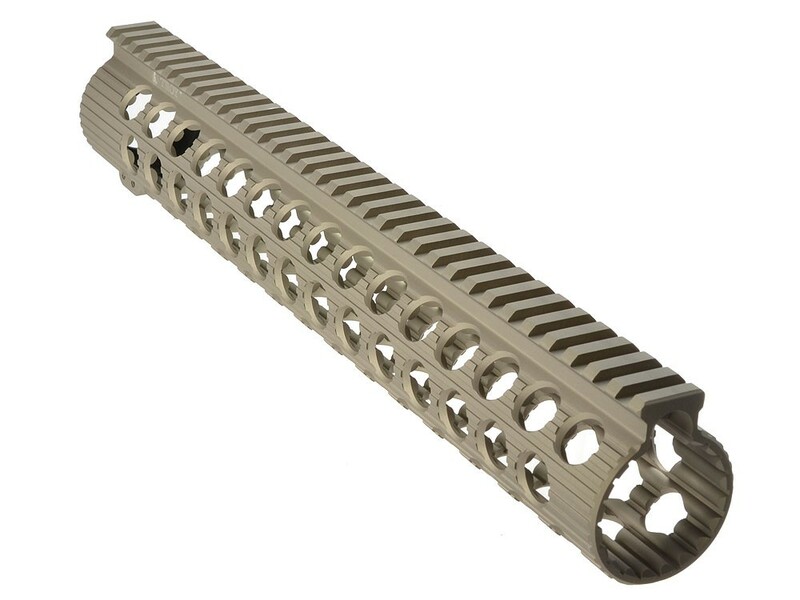 The TRX free-float Battle Rail is a new handguard system from Troy Industries with a special rotary locking mechanism. 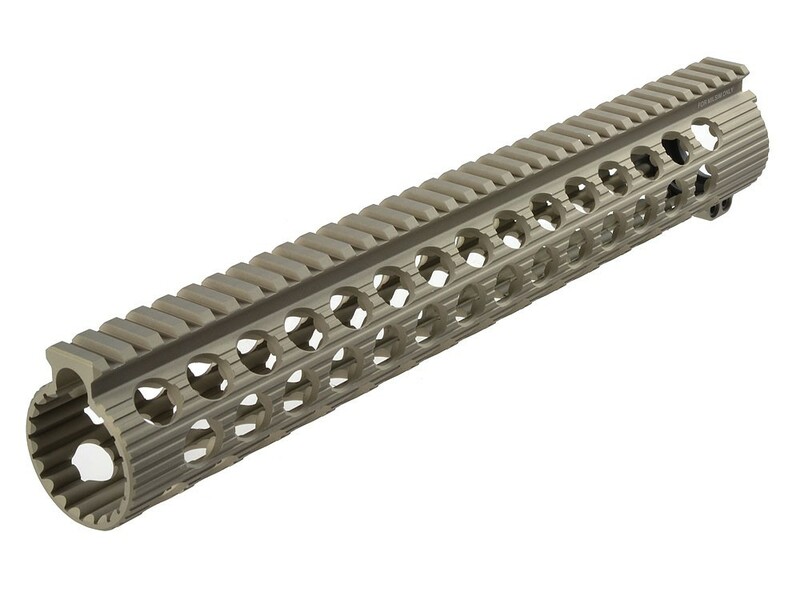 Troy Industries is famous for manufacturing advanced small arms components and accessories for the US Government. Their products are widely used by military, law enforcement, special forces, and civilian hobbyists. 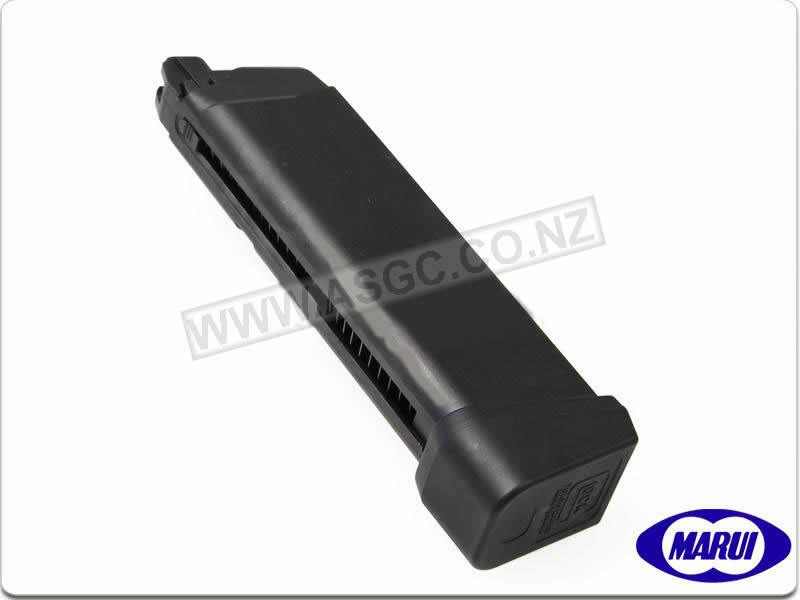 Madbull Airsoft proudly works with Troy Industries to adapt Troy's innovative designs for Airsoft rifles. Madbull's licensed rails are quality checked by Troy to ensure a high level of realism and build quality. 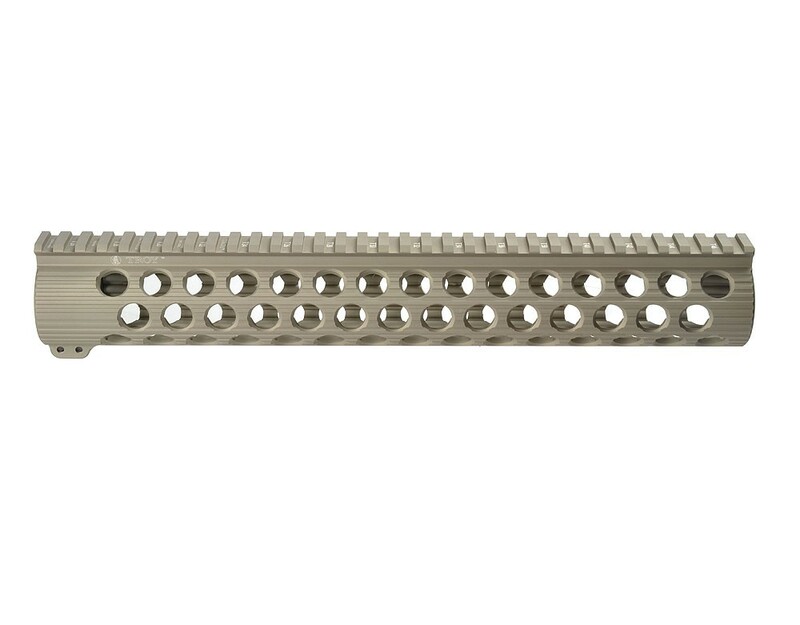 The TRX free-float Battle Rail is a new handguard system from Troy Industries with a special rotary locking mechanism.